The little things we do on a daily basis don’t just matter—they can make all the difference. Intentional daily acts focused on covenant-keeping will bind us to the Savior as we are deliberate and determined to follow Him in small and simple ways. Drawing upon the teachings and lives of ancient and modern prophets, author Jennifer Brinkerhoff Platt identifies patterns of truth that encourage increased commitment to covenant relationships while diminishing the binding grip of the adversary. Included are chapters on the need to be consistent in covenant- keeping, on recognizing Satan’s tactics and lies, on undoing self-destructive routines, on the role of the Spirit to help us both feel and follow promptings, and on the power of daily scripture study and prayer in establishing habits that reinforce and sup- port our commitment to the Savior. I was greatly impressed some time back when I heard Jennifer Brikerhoff talk about this book and enjoyed reading it when it came out. I remember marking it with highlights I wanted to ponder. Every time I read 2nd Nephi Chapter 9 I think about this. Now when I went to look for it sometime later I couldn't find it. (Probably because in moving some of my treasured items were misplaced). So I thought it was a good time to reread it. I appreciate the ideas she shared and how important it is to regularly study Chapter 9 of 2nd for the rich content of that chapter on the Lord's plan of happiness. 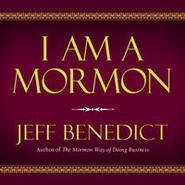 A wonderful self-help book that reminds the latter-day saints to basically live each day as Jacob did in the Book of Mormon, "to choose to anchor our lives in Christ and take the Spirit as our guide." (pg75). The author encouraged its readers to find ritualization in our daily activities that represent what we truly value and believe. For example (my example), if you value family, spend quality time together. Moreover, this ritualized life consists of three fundamental parts: preparation for the event, participation in the event, and reminiscence of the event. Thus, "think of it as doing what you normally do with greater purpose and intention" (pg35). Ms. Platt referenced the book of 2nd Nephi a lot, particularly verse 9. This is so because it contained a teaching of the Atonement. Rightly so because the Atonement does play a great deal in living the covenants every day as the title states. "It is by recognizing our reliance on the Lord that we are able to do what is required of us. We only fail when we try to do it alone." (pg107) ..love that! I also love that the author gave personal trials that she learned from that helped to demonstrate a particular principle. Likewise, statements from modern prophets. Furthermore, I especially love the stories of people she met that gave her insights, spiritual uplifts, encouragements, and support. Overall, this book reminds us that Satan is relentless in his quest to join him in misery so fight his lies and temptation by believing in Christ and living the principle of the Atonement each day. The homework at the end of each chapter served to aid in doing so. They were thought provoking, reflective, and more importantly supports action. A format like you would find in Church teaching manuals. I highly recommend this book. It is full of caring words of wisdom. So I will conclude with one of my favorites, "remember that the most important days in your life are the day you were born and the day you discovered why" (pg98). *Paperback copy provided by author in exchange for an honest review. If you want to stop the crazy busyness of your life...read this book. If you want to live with greater purpose...read this book. If you want to turn everyday activities into rituals that will bring you closer to Christ...read this book. If you want to bind Satan and undo self-destructive habits...read this book. I love her mantra..."Satan hates me and wants to isolate me. Christ loves me and wants to embrace me." 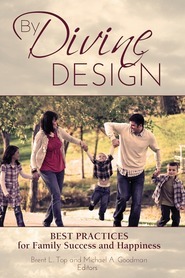 This book teaches you how to live your covenants each and every day---deliberately and intentionally. So many good thoughts are in here...take time to improve your life...read this book. This book is outstanding! A few years ago Jennifer sent me a list of 24 daily rituals that she tries to focus on each day. I shared that list in a presentation I gave at Education Week and was flooded with requests for a copy. I'm so happy that she has finally put her thoughts and daily rituals in book form so we can all benefit from them. 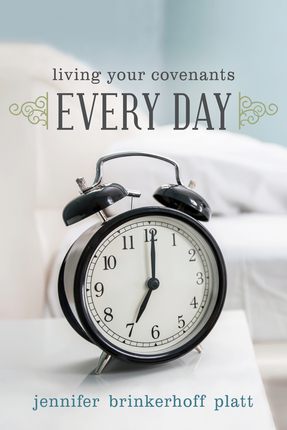 I can only imagine what the world would be like if everyone lived their covenants each day. I highly recommend that everyone read this book. At times we can get so caught up in our busy lives that we can forget how important small things can be. In this book, we are reminded about how the little things in our lives can make a huge difference. As we work to better focus our days and our lives, we can grow closer to the Savior and strengthen ourselves against Satan's attacks. By truly trying to live the covenants we have made, we can make big changes in our lives that will make a difference both now and in the future. This book gives very practical advice, and I feel like the advice is something that everyone can incorporate. Sometimes you read things and think, "That's a great idea, but I'm not sure how to practically apply that to my life." This book manages to give ideas for things that we should already (or may already) be doing, but it gives a different way to approach these things. All those simple things like reading the scriptures and praying can still be improved in simple ways. I thought the ideas presented were insightful, and I really look forward to trying them in my own life. I particularly enjoyed the end of the chapters. There were homework assignments to help you put the ideas into use and really think about how you stand on a lot of things. There was also further reading. These were talks and books that applied to the subjects of each chapter. I am really looking forward to reading these as well as I think they will be another source of inspiration in my life. The author had an approachable writing style that really helped make you feel as if she understood you individually. I also think that her story of being single for longer than expected was very moving. 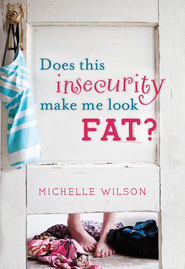 I know a lot of women in particular who find themselves in this situation, and I think that this book could do a great job of helping them see that they are not alone in their desires and disappointments. Overall I found this to be a great book with some awesome ideas that I'm sure will help out my life! A powerful book focused on helping the LDS reader (members of The Church of Jesus Christ of Latter-Day Saints) focus on keeping the covenants (two-way promises) made with the Lord. Platt writes beautifully of some of the things she has learned on her life's journey especially regarding the importance of covenants and our daily efforts to keep those covenants. She provides wise counsel on ways to put these promises and Christ more fully into our daily lives by living with greater intent. Not necessarily changing everything we do, although bad habits do need to change, but finding ways to look at the ordinary things through a more Christ-focused lens. A great book full of great advice and thoughts on living life to the fullest by living our covenant more completely. Highly recommended. putting them someplace to remind me how to keep covenants each day. know she has some very interesting things to put into a book about her life. She is an incredible gifted person.